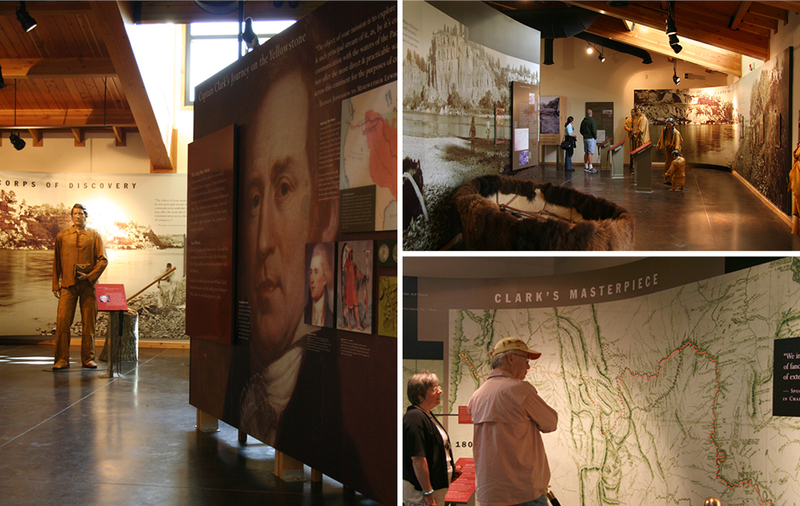 The Pompeys Pillar Interpretive Center provides an intimate portrait of the Lewis and Clark expedition at a crucial point in their journey: the Corps of Discovery’s exploration of Montana’s Yellowstone River. On July 25, 1806 William Clark carved his name and the date into a sandstone bluff at the edge of the river – the only remaining physical evidence of their journey along the entire route. But this is just one of the stories here. The pillar itself has a fascinating geological tale to tell, and it is also a sacred site for the region’s First Nations tribes. 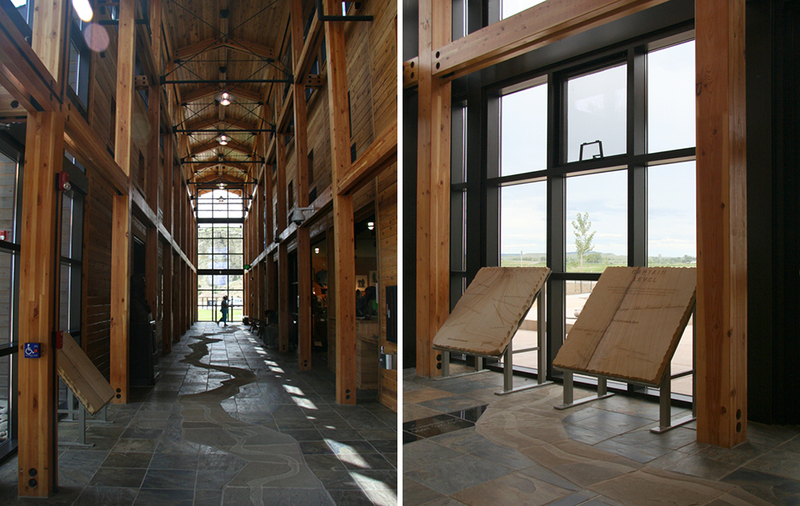 Main Street realized that these exhibits needed to convey not just the history of the voyage but also the significance of the Yellowstone Valley native peoples. 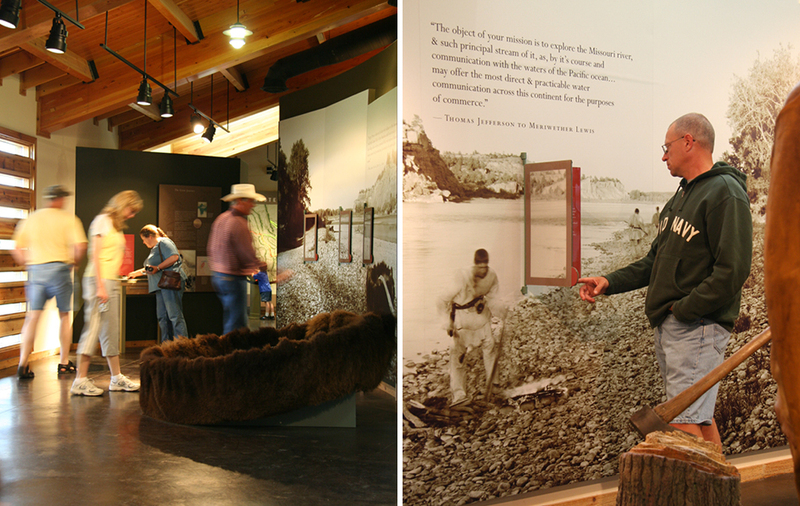 Visually rich graphics, artwork and historic images, and oral history and dimensional interactive elements throughout the exhibit invite visitors to think about the natural and cultural history of the region prior to western expansion.